Coach Ricky comes from England and has been a competitive swimmer since he was 10 years old. He has competed nationally and internationally and has gained a wealth of competitive experience that Coach Ricky is happy to share with his students. Coach Ricky has been teaching since he was first qualified to teach with the ASA since 2008. He continued to teach and coach during University and after, embarking on a career of teaching and coaching swimming to all abilities of students, from the very young to senior adults. This has meant that Coach Ricky has a wealth of experience to match any situation and environment in the aquatic environment. He has experience of coaching in a competitive club and environment, as he has participated in many competitions as a swimmer and as a coach, becoming technically minded in ensuring his swimmers can go as fast as they can in the most efficient stroke for the swimmers. James hails originally from Australia where his experience and passion for swimming began very early in life. James has earned several coveted specialized accreditations from the Australia's swimming and water safety authority AUSTSWIM and has been an AUSTSWIM qualified coach since 2008. Likewise James has also proudly earned an accredited lifeguard qualification under the esteemed Royal Life Saving Society of Australia. professional aquatic teaching facilities in Australia. James has developed a passionate interest in developing strong water safety skills and awareness among his students and strives to develop these critical abilities in an inviting recreational class setting. 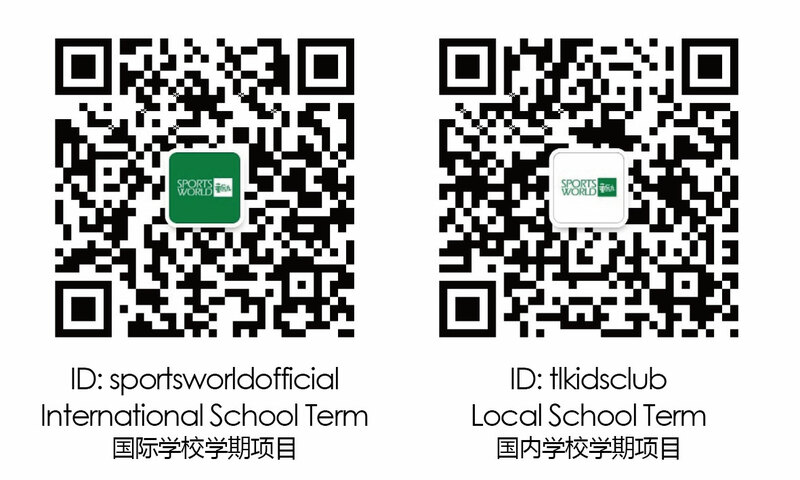 James has resided in China since early 2016, and now works as a proud Sportsworld童励 team member to share his love and knowledge of aquatics, and is a strong contributor to the company's mission of developing water safety and swimming skills among our student with his open and engaging attitude. Goncalo originally hails from Portugal. His foundation of training and dedication to the in sports of both swimming and football began at the early age of five years old. Goncalo's innate and enduring affinity for sports eventually lead him to his later academic and professional pursuits in sports including a master's degree in physical education. His experience and training has given him mastery of coaching a great variety of sports with specialized focus in football and swimming. Goncalo's education in football has eve included time and experience under the direct tutelage of the Portuguese Premier League First Team. A big fan of FC Porto, Goncalo in his free time enjoys playing football, running, and strength and fitness training. Goncalo is a thoroughly experienced professional coach with international coaching experience in Portugal, Denmark, USA, and now in China. Goncalo's wealth of knowledge and well rounded coaching experience has developed his fun, responsive, and adaptable approach to teaching to best develop students' engagement and interest in sporting lifestyle activities. Goncalo’s greatest teaching aspiration to develop students' character qualities of teamwork, creativity, self-confidence, and self-awareness. His classes' guided learning environment fosters students abilities in thinking, asking, listening and respect ; with goals of being better human beings as well as being better swimmers/players. Coach Dan is a British native, whose love for sport began at a young age. Rugby is his passion. Performing as a player Dan enjoyed the social and health benefits of team sports. From the age of 14, Dan began coaching Junior sides to better his understanding of the sport. Since starting the coaching, he found great joy in coaching others and seeing them thrive and experience the same benefits he found from participating in sport. Dan's time as 'Head coach of Shanghai Touch Rugby' has seen him gain a wealth of experience coaching all ages both male and female players from beginner level all the way to China international representatives. Alongside the joy Dan got from Coaching his understanding of Rugby and working with other athletes lead him to securing a place in the England Rugby squad and captaining a side aged 17. Dan now seeks any opportunity to introduce/ engage others in the world of sport now coaching; Rugby, Swimming, Soccer and PE regularly. Previous employment saw Dan act as an outdoor adventure instructor in the UK for kids delivering survival skill and team building sessions, in which those skills learned are now transferred to his SPORTSWORLD童励 sessions. Dan utilises enthusiasm, great communication skills and experience to now consistently deliver productive and engaging sessions. Ilya is originally from Russia and had been involved in many different kinds of sport from the age of 5 years old. His passion has led him through a wide variety of disciplines – swimming, skiing, football, basketball and cycling to name a few. But from the young age of 6, Ilya has dedicated his attention to swimming. Throughout his swimming career, Ilya has achieved many different successes and at the age of 17 he was awarded the qualification of Candidate for Master of Sport in swimming. After the end of his swimming competitions, Ilya decided to continue with sports, but embark on encouraging participation in sports and to educate how a active lifestyle is enjoyable for all ages. He also is keen to share his knowledge and experience he has gained over the years. Throughout his sports career, Ilya embarked on providing professional qualifications, getting qualified from the American Swimming Coaches Association (ASCA) with Level 1 Foundations of Coaching and Level 2 Stroke School as well as international first aid courses in First Aid Certification in accordance with the European Red Cross and Red Crescent Standards. This helps Ilya to provide a very solid foundation to his coaching knowledge with his experience he gained while competing. Ilya has been working as a coach since 2016. Ilya pays great attention to safety of children in water and considers its main goal to introduce children to a new environment for them and at the same time to develop in them a sense of safety in the water, making their activities fascinating and fun.